I listened to the album Yes, Please! by Fourplay and the track “A Little Fourplay” – provocatively named and provocative music that possess a fetching groove and bass rhythms. It was interesting to find that the Monitor Audio Gold 300 was more explicit in its sound than either of my own reference loudspeakers. I use the term explicit to try to encapsulate the greater intensity, richer tonal colour and bolder musicality with which the Gold 300 sang. There was stronger presence to the music albeit with a little less ease. The result was that elements within the soundstage seemed to move a little closer in, while the front face of the soundstage remained unchanged in its proximity – just behind the front plane of the speakers. The Gold 300 seemed to breathe a little extra life into the music – which I found appealing and perked up my ears and my attention. Focusing on the bass, I was impressed with the punchiness and heft that I heard, while the treble offered plentiful detail and was well extended with a refined smoothness. Though the soundstage produced was appreciably open, I perceived a subtle warmth in the air surrounding and between the various elements, as though it possessed more consistency. When I put on the track “Sweet Jane”, from the Cowboy Junkies The Trinity Sessions, the Gold 300 presented Margot Timmins in a lifelike manner, absent of grain or sibilance. Voices and instruments were depicted in a way that was compellingly natural. There was some shadowing of the faintest details but this seemed to be in favour of maintaining an illusion of reality versus a revelation of the recording itself. It was as though the Gold 300 was intent on bringing Margot before me in the flesh and much less concerned about telling me about the mechanics of the recording – such as the distance or placement of the mic. As I continued to listen, I could not help noticing how well integrated the Gold 300’s ribbon tweeter and its midrange driver were – neither one drawing attention to itself. This is quite an accomplishment, as ribbon tweeters have a propensity to leave conventional drivers behind given their inherent lightness and resultant swiftness. 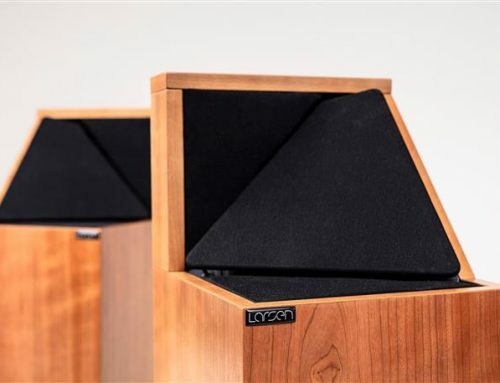 Moving down the spectrum, the slow thumps of the opening kick drum on the track were not only heard but were felt within my room, much like I’m accustomed to experiencing with my full-range Montan VIII speakers; however, bass weight and dynamic punch with the Gold 300 was even greater. There was also an engaging vigor in the portrayal of the guitars, while the resonance of the guitar amps possessed a charming sweetness. Crispness in the cymbal hits was apparent, open and airy, yet never crossing the line into dryness. When it came to imaging, there was stability and precision without the sense of cookie cutter sharpness that might lean to the analytical. Turning to TIDAL as a source for music, I dialed up Melody Gardot’s latest album, Currency Of Man. The track, “Same To You” opens with some finger snaps and the Gold 300 delivered the echo with generous width, extending across the front of my room. I’ve been following Melody for a number of years now and I have to say this latest album is arguably her darkest and smokiest. The Gold 300 was able to maintain this impression and take it to yet another level. Melody’s voice not only carried its characteristic rich and smoky tone but there was also an additional chocolaty smoothness that just seemed to add to the realism. On the flip side, the raspy and arid textures that I’m accustomed to hearing in her voice seemed to be muted. Once again, there was a sense that the Gold 300 was bringing added musicality and along with that some added humanity, if only sacrificing that last degree of detail that some might seek just for details sake. The bass line, came across as smooth, solid and full; weightier than I’ve heard before and just shy of delivering that final level of articulation and tonal variance that I’m accustomed to hearing. Soundstage depth and width was substantial – with the flanking trumpets on this track seeming to come from beyond the side wall boundaries of my room. Listening to the brass instruments, the metallic tones were sumptuous, adding to their authenticity. 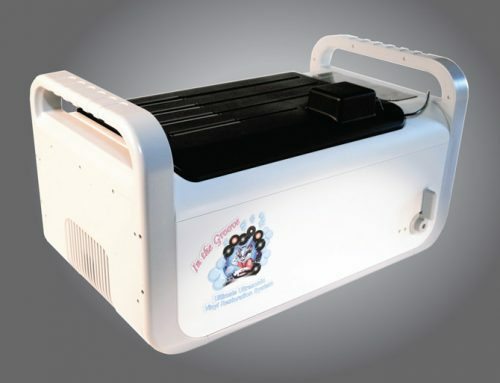 Bass weight for music listening was substantial and I was never left wanting, in this regard. Turning again to TIDAL, I streamed “Drumming Song” from the Florence + The Machine, the MTV Presents Unplugged album. This is a live and vibrant recording that captures the resonance of the venue, the live audience and Florence’s powerful stage voice. Comparing the Monitor Audio Gold 300 to my Montan demonstrated the cordial warmth and silkiness of the Gold 300 that adds splendor to recordings. As a result, Florence’s voice gained a velvety quality, a little richer but also a little less crisp, forgoing some razor sharp focus. The guitars with the Monitor Audio Gold 300 had a softer string attack, while the woody tones of their bodies had more presence. Within the soundstage, there was some softness to the edges of the elements, which served to avoid any highlighted silhouettes that might curtail realistic imagery. Reverb within the recording venue, captured in this live recording, sounded more contained with the Gold 300, the air within seemingly denser. While some speakers sound amazingly detailed and delicate they come across as if painting music with watercolours – this, however, is not the case with the Monitor Audio Gold 300. The Gold 300 lays down its sonic tapestry in Technicolor, with vividness and intensity that enraptures. Music is conveyed with a tactile quality and physicality that lends to realism and the Gold 300 is able to extract enthralling musical detail without coming across as clinical. Vocal recordings seem a little fleshier, more corporeal, while bass sounds full and impactful. 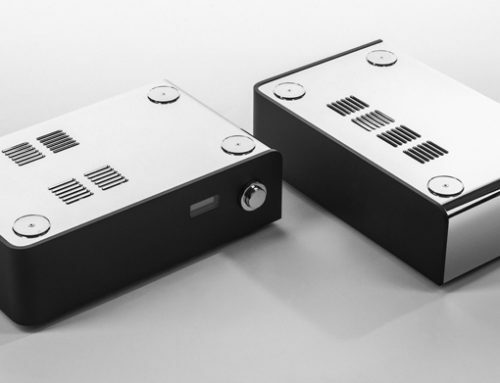 The ribbon tweeter is excellent – detailed, fast but also very smooth, never crossing over to the harsh. 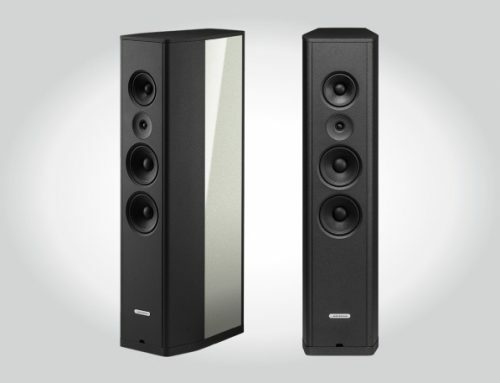 The Monitor Audio Gold 300 is a speaker that should please many and leave few wanting. If you ask me why they now just call the series “Gold”, perhaps it’s because that’s just what it is. During my time with the Monitor Audio Gold 300 I auditioned the Clarus Aqua Speaker cable as well as the Clarus Aqua Power Amp cable. Both cables had a very robust construction. The banana connectors on the bi-wired speaker cable seemed very strong and firmly gripped when inserted. Sheathing on both cables was of a man-made fabric weave that was attractive and in keeping with a high-end cable product. 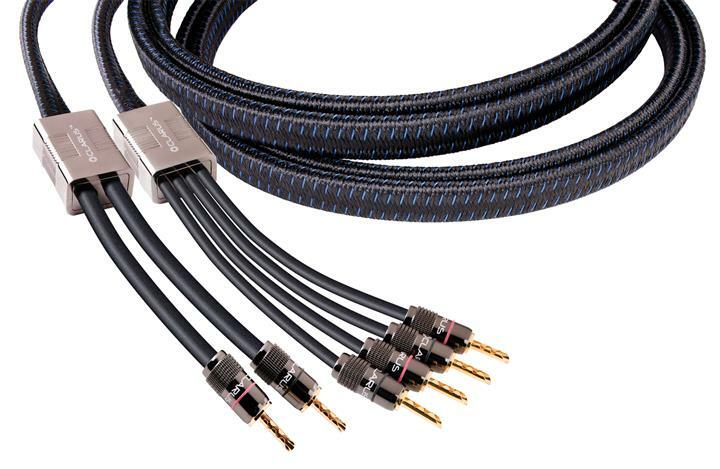 The speaker cables with their flat design and rubber covered leads were incredibly flexible and tremendously easy to use, while the power cable, despite its significant girth allowed for reasonable flex. 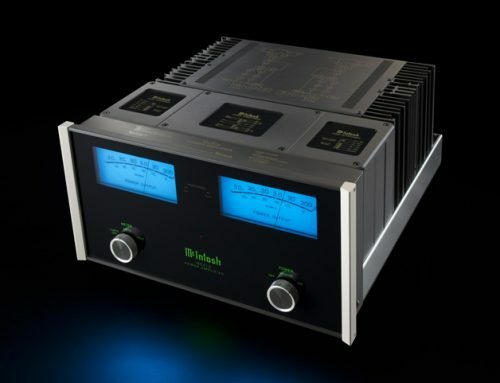 The Power Amp cable provided a full and rich sound that leaned slightly to the darker side of neutral. It provided solid and articulate bass with black quiet backgrounds and the emphasis was on musicality versus detail retrieval. The Speaker cable provided copious bass. Sibilance was well controlled and there was a sweet character to treble frequencies. Treble details were just slightly shaded, having shorter sustain. I would also say the Speaker cable had a slight lean to the darker side of neutral. 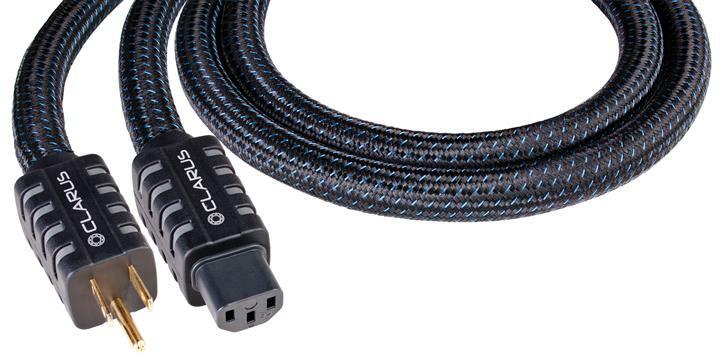 Overall, I found the Clarus Aqua Speaker and Power Amp cables to be of high value and given their character will perform best when matched to systems that are slightly bright in nature or tending to lean to the analytical.